A different kind of wireless company. We offer contract-free mobile phone and internet service on the nation’s top 4 networks. 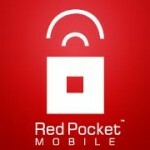 Keep your phone, keep your number, and save money with Red Pocket Mobile. Red Pocket Mobile is proud to be an American-owned company helping real people save money, every day. The Better Business Bureau® awarded Red Pocket Mobile a rating of A+. Red Pocket Mobile starter kits are available at Target, Fry’s Electronics, Family Dollar and thousands of other fine retailers across the country.